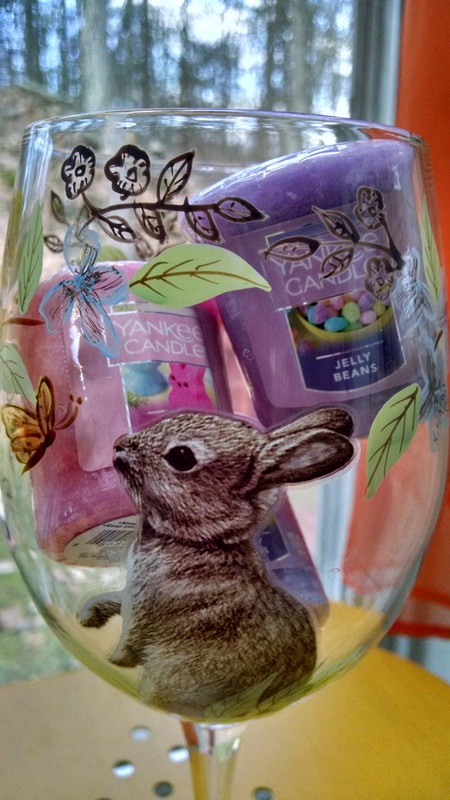 …because nothing says Easter like a bunny wine glass (this is the Sophie Bunny glass from Pier 1) and Yankee Candles that smell like Jelly Beans…and Peeps (you have to REALLY. LOVE. marshmallow to like this one, FYI). Hoppy Easter everyone! Posted on April 16, 2017, in Deep Thoughts & Fun Stuff and tagged candles that smell like candy, Happy Easter clipart, Pier 1 Sophie Bunny Wine Glass, Yankee Candle Easter Scents. Bookmark the permalink. Leave a comment.